Last night, Bud, Little Miss and I headed to the intu Trafford Centre for a very important appointment. Build a Bear had invited us to celebrate Valentine's Day by going to choose a bear for each of the children and we were very excited! Bud has been talking about Build a Bear Workshop for ages, I think it is something he has heard about at nursery as he didn't really know what it was when I asked him more about it. When I told him we were on out way though he was delighted. Upon arrival at the store at our designated time we were warmly greeted and introduced to Molly, who would be our guide through the process of building our bears. She asked the children's names and got them stickers to make sure she didn't forget them. We'd been asked to choose from the Valentine's range which is shown above, and very quickly Bud selected the pink elephant, while we went for the Pink Hearts Hello Kitty. I'm not entirely sure if this is officially a Valentine's bear but Molly told us that it was a limited edition and, with her all over hearts print, she is a perfect gift for a loved one. Choices made we taken over to choose our hearts, sounds or scents. There is a wide selection of sound effects which are placed into the paw of your new friend. Bud went for one which says six different phrases and has very much enjoyed making his elephant talk. We decided to get a scented disc for LM's Kitty and choose strawberry from the five available. Bud operated the machine with our sales assistant to fill up both of the toys.You can choose your level of filling and we went for medium for both. Then comes the heart ceremony. This is a special moment when the animal's heart is inserted and you bring it to life. Bud loved following all of the instructions with his heart and I was enlisted to carry out LM's as she was too busy trying to escape with her Kitty! For the first three months of 2014 Build a Bear UK have teamed up with the Starlight Foundation and, for every photo of your new friend shared on Facebook, Twitter, Pinterest and Instagram with #shareukbabwwishes, £1 will be donated to the charity You can also buy a limited edition purple satin heart for £1 which will be donated to the charity. Both of our new friends had issues with their back stitching when the time came to fasten up the backs. This was quickly resolved by the sales assistant whisking them away to hand stitch them instead, while we browsed for clothing and accessories. We were slightly overwhelmed at this point! There are rails and rails of costumes, clothes, shoes and accessories for your bear. You can even get roller skates! The first thing Bud chose was a pair of red wellington boots, which reminded me very much of Paddington Bear's. I was rather taken by the Thor outfit, which was my favourite in their range of superhero costumes but, when Bud spotted a Woody from Toy Story outfit that was it. We were sold! We chose a really girly outfit for LM's new Kitty - a beautiful sparkly dress and glittery pink shoes. Both new friends even got a pair of underwear each. From there we went on to complete their birth certificates, this included naming them which was quite difficult, Bud just couldn't think of a name for his elephant and, in the end, came up with the name Joey. We weren't very imaginative naming LM's Kitty... Kitty! As soon as these were completed our animals came back to us, securely stitched. All that remained was to dress them up in our outfit choices and pop them in their boxes to take home. 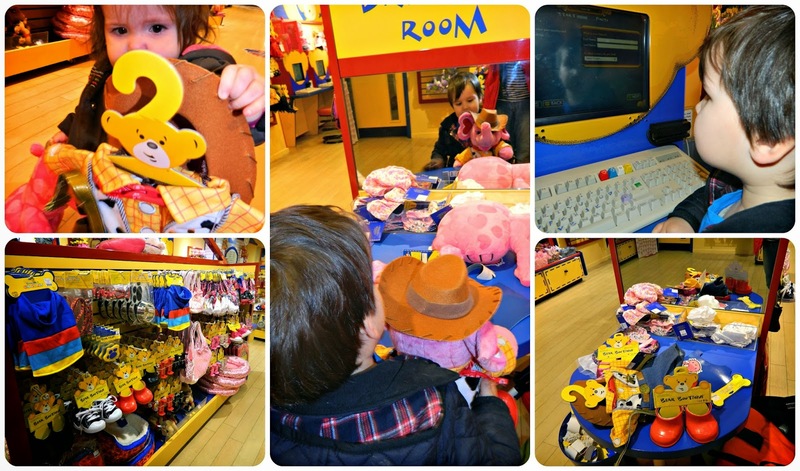 We had a really lovely time at Build a Bear Workshop and the staff looked after us brilliantly. The animals we chose and their clothes and accessories are really excellent quality and I think we may be returning soon to buy additions to our animals' wardrobes. 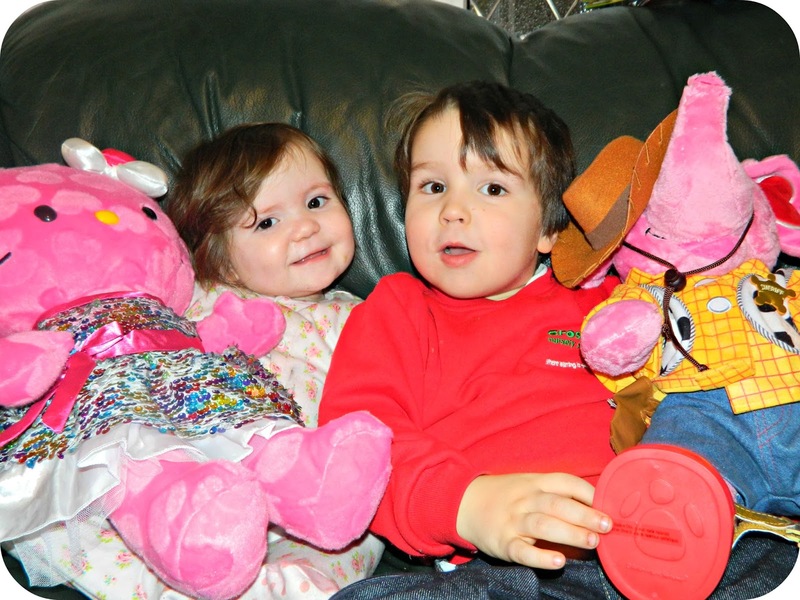 It is expensive compared to buying a pre-made bear but the choice available, and the amazing range of additional items to buy, plus the personalisation of the experience and how well we were looked after, mean that I am sure we will be back to Build a Bear to choose new pets at some point in the future. The clothes and accessories can be bought at pocket money prices so it needn't be an expensive shopping trip each time. I can totally understand why so many children that I know love shopping here so much. 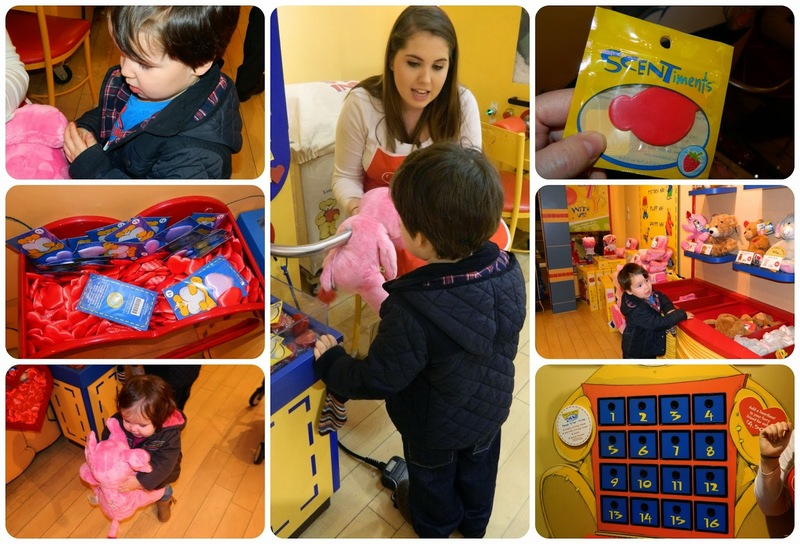 Thanks to Build a Bear Workshop Trafford Centre for looking after us so well, we had a lovely time! Have you been to Build a Bear? Disclaimer: We attended Build a Bear Workshop as their guests and were not asked to pay for our selections. All opinions are honest and unbiased.